Deaf Centre Manitoba Inc.: American Sign Language and English Interpretation Program (AEIP) BBQ Appreciation Night- May 21st at new location!!! 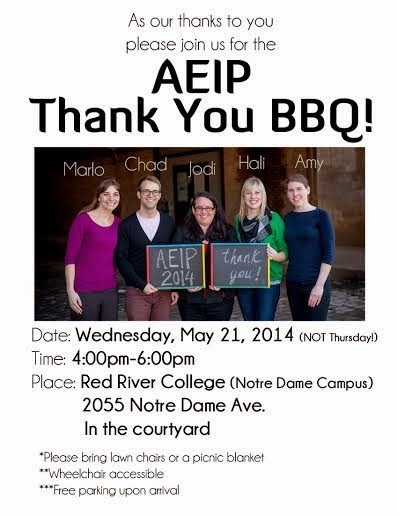 American Sign Language and English Interpretation Program (AEIP) BBQ Appreciation Night- May 21st at new location!! !